HEY EVERYONE! WELCOME TO MY NEW SITE! The site is still under construction, so check back soon for even more information! For now, you can read my bio below, and learn about my band, Sepiatonic, check out images, check out videos on my YouTube channel, and visit me on Facebook or Instagram. Karolina Lux is a theatrical belly dancer based out of the Pacific Northwest. 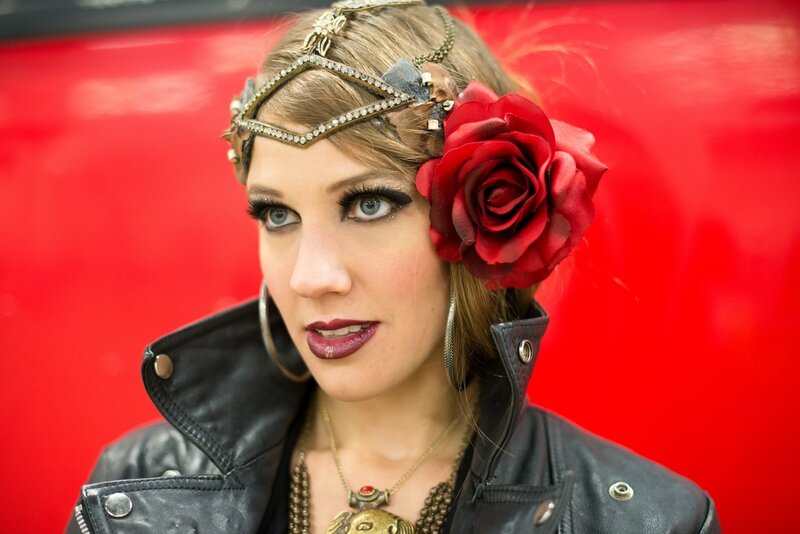 She has performed and taught at festivals and studios, nationally and internationally, from the Americana Burlesque and Sideshow Festival (Asheville, NC), to Symbiosis, to Caravanserary (Vienna, Austria). She has over 10 years of intensive training with some of the most renowned traditional Middle Eastern dance artists and some of today’s most progressive fusion innovators, and has developed a diverse curriculum of her own from her dynamic artistic history. 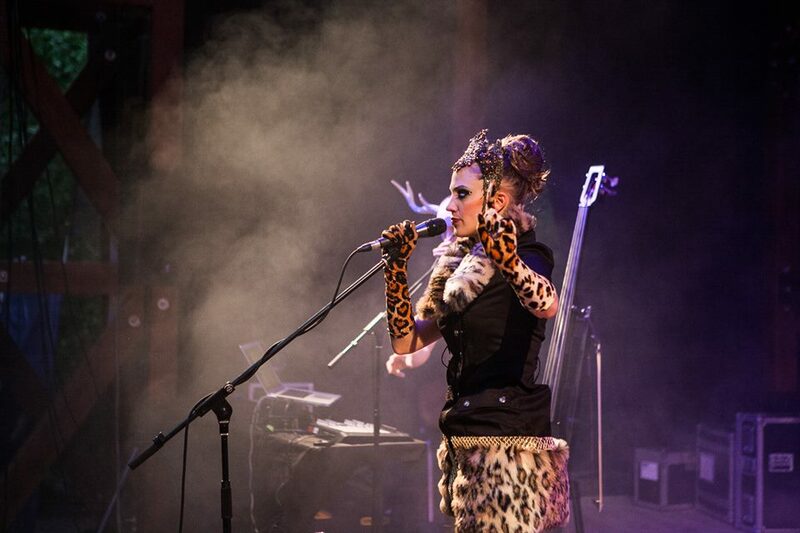 Karolina has an extensive resume of experience, having toured as a dancer with internationally acclaimed Beats Antique; Zoe Jake’s House of Tarot; extensive touring with the musical circus extravaganza, March Fourth Marching Band; and the Eastern cabaret road show, Vagabond Opera. She has appeared with Vau de Vire Society (San Francisco’s premier circus), Hubba Hubba Review (San Francisco’s most renowned burlesque revue), and worked for a number of other dance revues and companies. She also choreographs and writes music for her own band and dance project, Sepiatonic. In addition, Karolina has appeared, performing and teaching dance and choreography concepts, on multiple internationally distributed DVDs, by Cheeky Girls Productions and Hollywood Music Center, and teaches sassy belly-esque classes at the All That Glitters Academy of Burlesque, in Portland, OR. 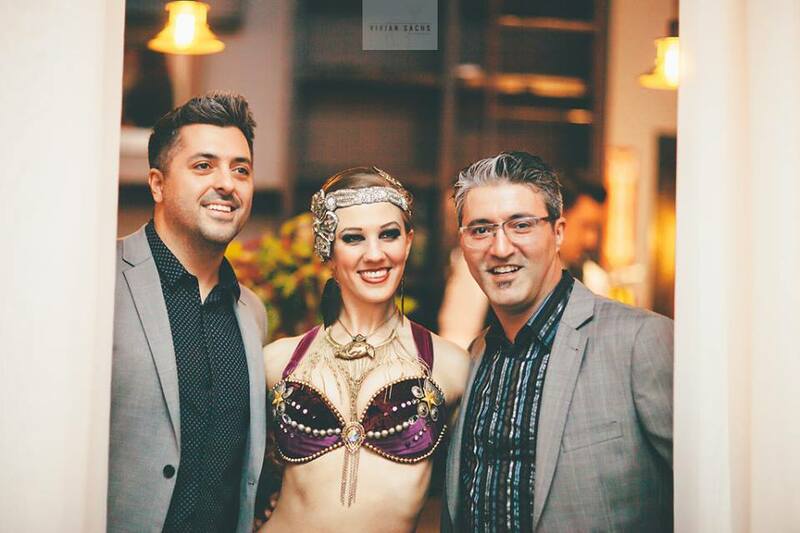 Karolina Lux is a belly dancer, burlesque artist, trumpet player, vocalist, with training in street and club dance styles such as waacking, vogueing, and tutting. She has also trained in ballet, jazz, hip-hop, swing dance, acrobatics, and theater. Her years of experience as an actress and in vaudeville productions add extensive experience to her dance shows and theatrical workshops and performances. She is available for a variety of productions, festivals, showcases, and as a teacher for subjects from belly-esque, to character development, to basic dance drills. She loves to spread the joy of dance and knowledge of one’s body through her art to! Karolina is also a producer and arts administrator. She has staffed for multiple touring companies, events, and shows, produced and directed multiple tours, events, workshops, and more, and helped to manage merchandise, costumes, stage managed, and tour managed for a number of diverse tours, events, and festivals. Karolina is available to help produce entertainment for your stage, production, or event.